Board book shelves are the bane of my existence. They are always so messy, it's impossible to keep them in order, and the spines look disgusting after 3-5 check outs. I've been looking for a good way to store our board books since I started this job two years ago without success. When I started, we had these for our board books. They're not the worst shelves in the world, but they're definitely not the greatest. Either the shelves get so full that you can't add any more books, or random holes are completely empty. Plus, board book spines are not very appealing or browsing friendly. We would find piles of board books all over the floor every single day. Some good solutions were presented in an ALSC post, but none of them quite worked for our library. I didn't want to alphabetize the books since that would constantly be a losing battle, and our room has too much traffic to try the sandbox approach. Companies that make board book shelving also want about a million dollars for each unit, which definitely isn't helpful. So, I searched and searched until I finally came up with a solution. 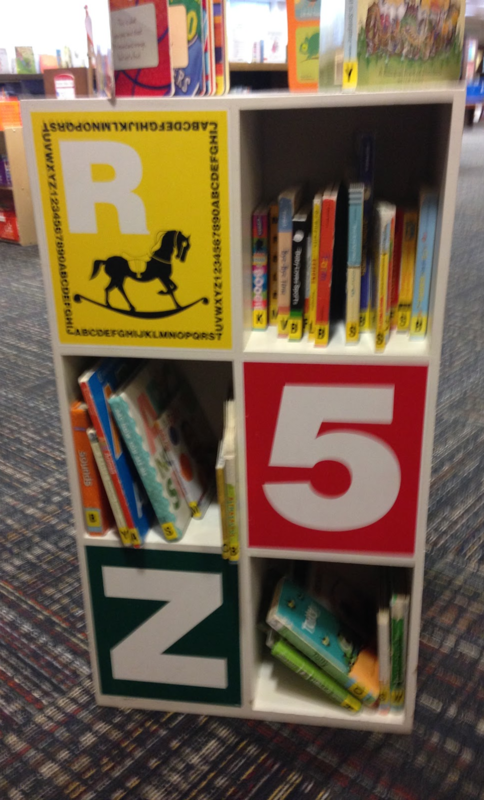 STOP LOOKING FOR BOARD BOOK SPECIFIC SHELVES! Instead, I found a normal book shelf and just bought baskets. We purchased two shelving units and 24 colorful baskets. It has truly been amazing. We have so much space for our board books and it looks so appealing! Plus, little hands can now actually pick out their own books. This is working beautifully. 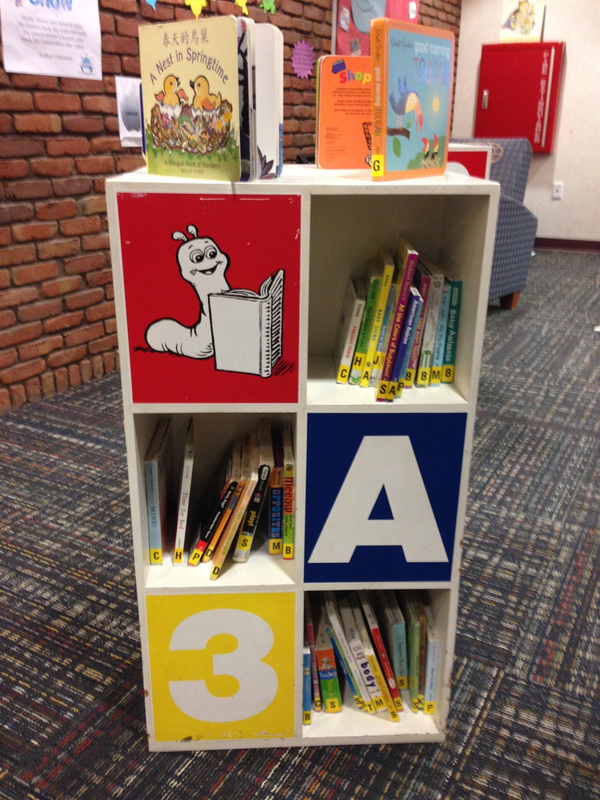 Our board books are flying off the shelves and caregivers have loved the new shelving. Right now, 75% OF THE COLLECTION IS CHECKED OUT! We also made the decision to make our board books non-holdable. Nine times out of 10, people were just putting specific books on hold without realizing they were choosing a board book. Making this decision has made our holds lists so much easier in the morning, and I highly recommend it. What are you using for board book shelving? Let me know!